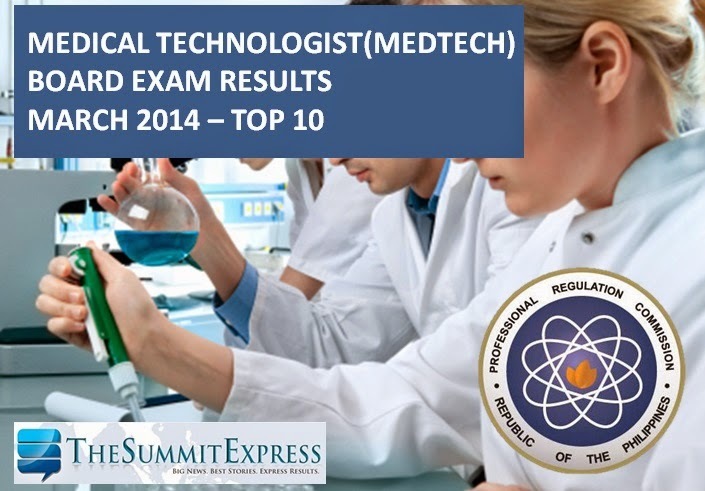 The Professional Regulation Commission (PRC) announced on Thursday, April 3, 2014 the full list of passers for March 2014 Medical Technologist (Medtech) board exam. 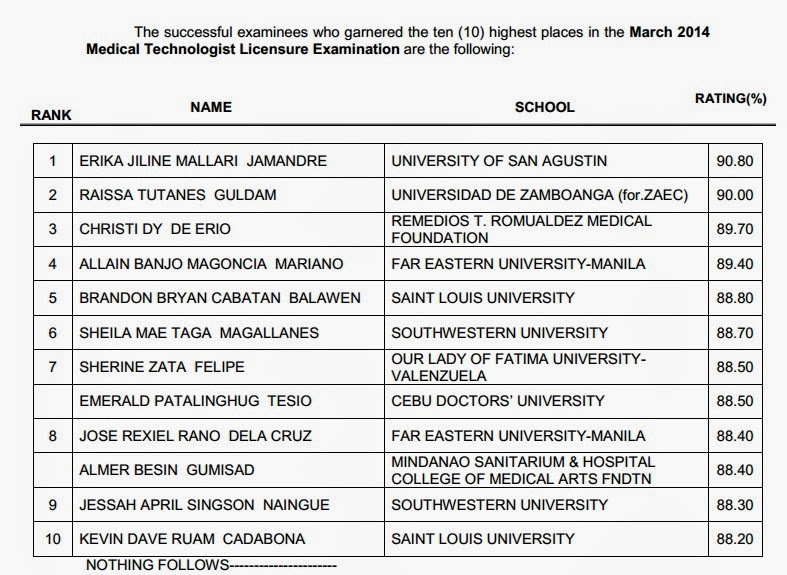 Erika Jiline Mallari Jamandre from University of San Agustin topped the board with 90.80 percent grade. Raissa Tutanes Guldam, a graduate of Universidad de Zamboanga ranked second with 90.00 average grade.